QUICK DELIVERY!!! Looking for a beautiful home in a quiet setting? Look no further than this 1,250 sq ft NEW CONSTRUCTION Available now! Perfectly situated just South of Camden, this home offers the convenience of being located close enough to access the restaurants, shopping, beaches, & Killen's Pond, yet away from the hustle and bustle! 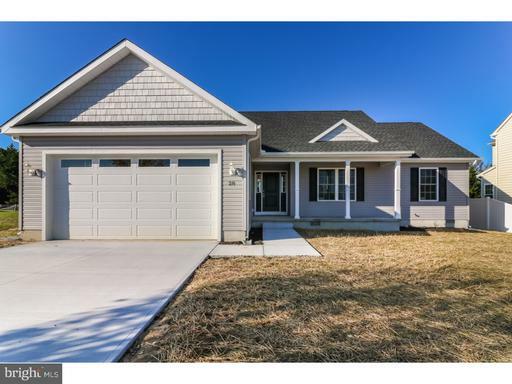 This ranch style home will not disappoint with 3 bedrooms, 2 baths, 2 car garage, laundry room, and an open floor plan for the eat-in Kitchen with enough room to set up full dining table, and living room. Relax peacefully on the spacious front porch and enjoy the serenity of the neighborhood known as Plymouth Place. Home includes builder provided upgrades, which include granite countertops in the kitchen, stainless steel appliances, upgraded luxury vinyl flooring and carpet throughout, and much more! Call us today for your private tour!